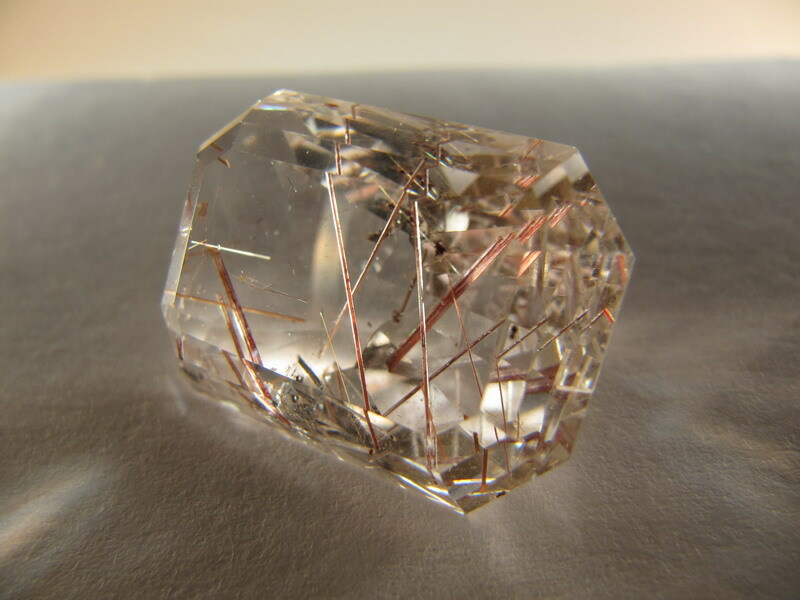 Stunning Large Emerald Cut Quartz with Red Rutile Inclusions. Excellent cutting and polishing quality. Natural, not treated. This piece is in our San Francisco stock.